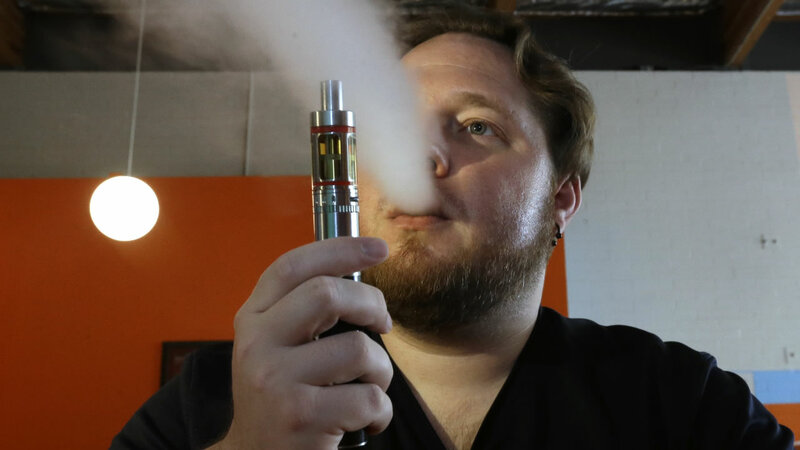 WASHINGTON -- Hundreds of electronic cigarette brands will have to undergo federal review to stay on the market under new rules that have the potential to upend a multi-billion dollar industry attempting to position itself as an alternative to traditional cigarettes. The Food and Drug Administration on Thursday released long-awaited rules that bring the burgeoning industry under federal oversight. Health officials have declared electronic cigarettes a health threat for California, and they are seeking statewide regulations. House Republicans are pushing industry-backed legislation that would prohibit the FDA from requiring retroactive safety reviews of e-cigarettes that are already on the market and exempt some premium and large cigars from those same regulations. E-cigarette products introduced in the future would still undergo the safety reviews. Hundreds of smaller companies sell more specialized products - often with refillable "tanks" and customized flavors - at vape shops and over the Internet. That space alone may be worth $2 billion in sales, according to estimates, though precise figures are not available.